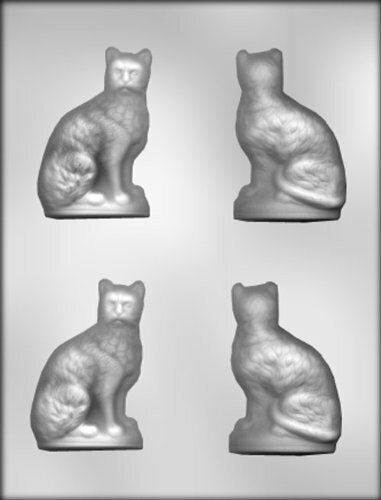 Each cat piece is 2-inch by 3-1/8-inch by 1/2-inch with 4 cavities per mold. This mold makes approximately 25 pieces per pound of chocolate. Do not use for hard candy or other hot ingredients.